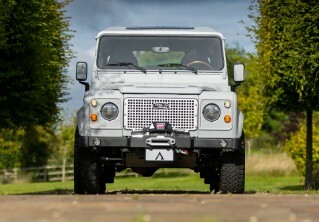 Each Defender we restore is unique, with its own personality which comes to life through the imagination of its creator – that’s you! They may share the same iconic Land Rover DNA, but by building a custom Defender with Arkonik you are guaranteed a vehicle that is as individual as you are. With our reputation for excellence and customer service, we enjoy regular exposure in the press. Stand out from the crowd and make your own headlines with a custom Land Rover Defender from Arkonik. Restored by us. Reimagined by you. “It’s been a while since we’ve seen Arkonik, but it’s abundantly clear that these customizers out of the U.K. haven’t lost their touch. In fact, one of their newest builds, a Land Rover Defender 110 they’re calling ‘Black Hawk’ is one of the most intimidatingly impressive SUV builds we’ve seen from them.” Check out the full article here. “UK-based custom shop Arkonik never disappoints and their latest build, a carefully considered and gorgeously reimagined 1991 Land Rover Defender, is certainly no exception. 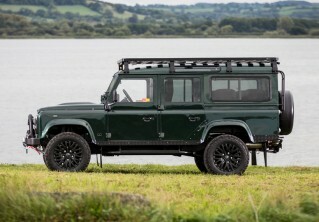 With overland upgrades, revamped interior work and a completely refurbished V8 engine, the sleek and understated overhaul pays homage to Land Rover heritage while taking it into 2018 and beyond.” Check out the full article here.